Welcome to our July update - Australian Wild Abalone™ News! It's been a busy few months with a lot happening, so please take the time to have a read through our update, and get in touch if you have any questions or would like any further information! Welcome to our latest AWA™ Newsletter. The AWA™ Team are very excited about the imminent launch of two new initiatives that between them, will boost our exposure in key Asian markets. The first is the launch of the new China AWA™ website and associated Asian social media platforms. Whilst our Australian website (www.australianwildabalone.com.au) has four language options and attracts attention from all over the globe, the simple fact is that if we want a significant online presence in our key markets in Asia, we need to have an Asian based website with associated Asian social media platforms optimised for mobile digital platforms such as smart phones and tablets. AWA™ Project Officer Helen Barnard has been working with Shanghai based digital media company Allin in recent months to develop the sites and upload the necessary content. The second initiative is the launch of the China based Abalone cooking competition. AWA™ has partnered with the China Cuisine Association (CCA) to host 'The Australian Wild Abalone™ Dish Innovation Design Competition'. This competition will provide some great content for our Asian digital media platforms. The competition will also be launched on the China Cuisine Association official website providing additional digital media exposure. The AWA™ Team will be travelling to each abalone producing states in the months ahead to provide more information to abalone stakeholders about the introduction of the abalone marketing levy – hopefully I will see you at one of our sessions! The Australian Wild Abalone™ Program and the research behind it has been funded to date via the Seafood CRC from funds collected by the Fisheries Research and Development Corporation R&D levy that industry contributes to. The Seafood CRC finished in June 2015 and therefore the time has now come for the AWA™ program to stand on "it's own two feet" as it enters the next critical stage in it's ongoing development. As the AWA™ program transitions from the being an R&D project to full commercialization, the funding support needs to transition from R&D providers to the abalone industry. If the industry wants the AWA™ program to go forward and promote the wild caught abalone products on a global stage into the future we now need to work on how that will happen. The Project Team is currently conducting the AWA™ Roadshow, travelling to each of the producing states and hosting briefing sessions with stakeholders - abalone divers, license and quota owners and processors/exporters. At each Roadshow event a formal presentation is provided and then there is an opportunity for stakeholders to ask questions and provide feedback to the team. Several briefings have already taken place and a list of Frequently Asked Questions (FAQ's) in response to the feedback has been produced. Dean Lisson, through the Abalone Council Australia Ltd, has circulated this document far and wide, however, if you haven't already seen the FAQ document it can be downloaded here. Please contact us to find out when the team will be in your state, and take this opportunity for discuss the future or the program and the industry. 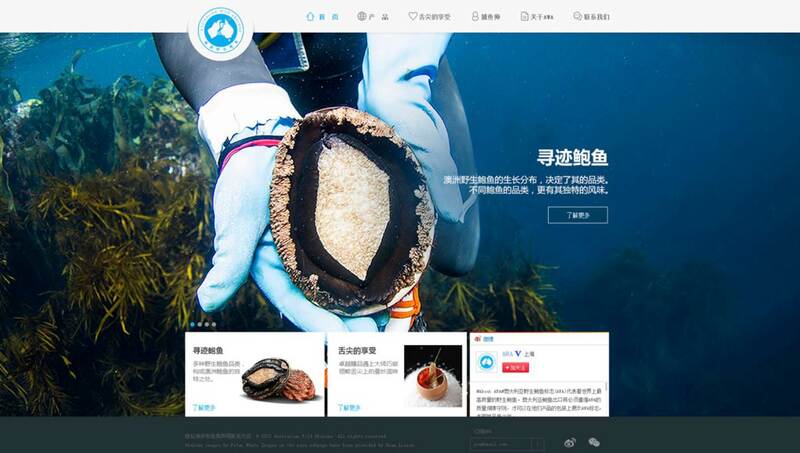 The Australian Wild Abalone™ project Team has been working very hard with All In Media in Shanghai to develop our Australian Wild Abalone™ digital media campaign in China. The digital campaign includes an optimized website and social media platforms, including one of the largest social media sites in China - Weibo. The China website is in the development stage and due to launch this month with our social media in hot pursuit... so watch this space! Please contact us if you would like any further information about the China digital campaign or have a China digital presence we can link in with! In collaboration with the China Cuisine Association, Australian Wild Abalone™ will be hosting an exciting Chef's Competition in China - 'The Australian Wild Abalone™ dish innovation design competition'. There will be 80-100 participants, all outstanding young chefs from catering enterprises in China. The competition will open for applications in July, and will be launched on the CCA official website, and promoted on our newly launched AWA™ China website! The grand finale is planned for November and the winners will be selected at a Gala dinner in Beijing, which will host top chef's and key Food & Beverage opinion leaders. A winner will be selected to become an AWA™ Chef Ambassador and win a trip to Australia! This series of activities will attract media attention from both China and Australia, we are hoping to put our Australian Wild caught abalone in front of the minds of those who matter! Due to the success of the AWA™ stand at the Seafood Expo Asia 2014, and the feedback from the exporters who attended, Australian Wild Abalone™ will be hosting another stand at the Seafood Expo Asia for 2015! For further information about the event please visit www.seafoodexpo.com/asia/ . If you are a participant and would like to join us on the stand please look out for a proposal that will be circulated tomorrow by Jayne Gallagher and give your expression of interest as soon as possible! We will be hosting an Australian Wild Abalone Seminar to educate the tradeshow audience about the program and products and the stand will profile the exporters who will be attending, it will be a great forum to conduct further research on our buyers and to promote and get relevant customers signed up to our digital media.